Work is coming along on the latest addition to the growing development around the Spring Hill Metro station. 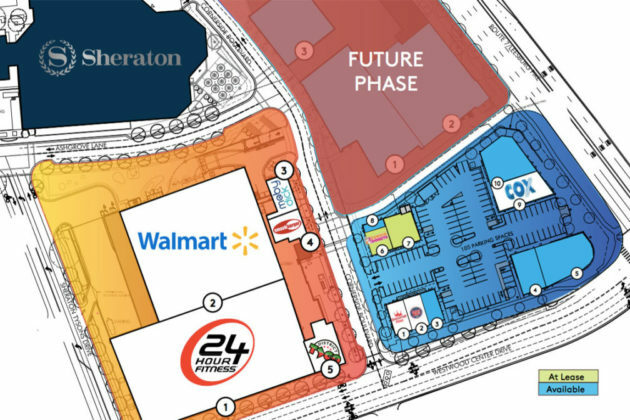 A project dubbed “Tysons West Phase III” is set to transform the under-utilized lot across from Walmart and create a mixed-use development. 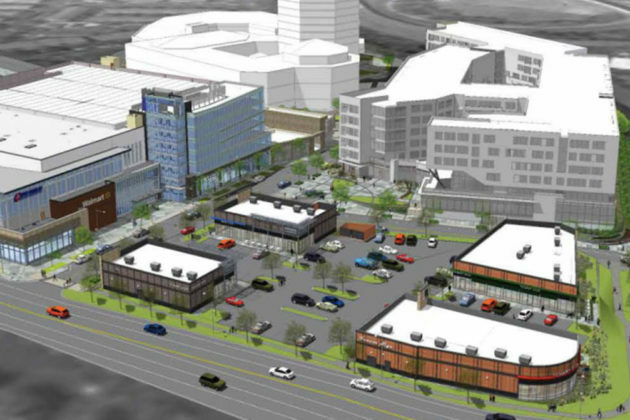 The development will contain four single-story buildings, with a combined 22,800 square feet of retail space. Construction on the project started last July and is scheduled to be completed in the spring. 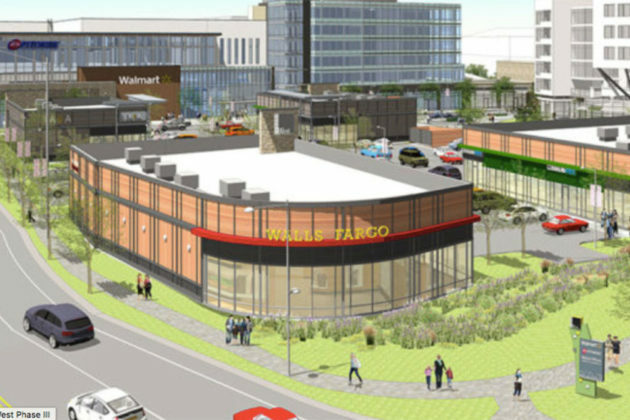 Plans from developer JBG Smith show Dunkin’ Donuts, Smoothie King, Jersey Mike’s and COX listed among the new retailers coming to the development. 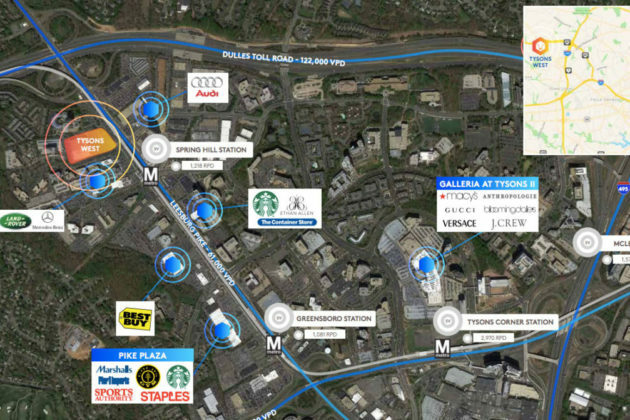 Future Tysons West development is planned north of the site, and some of the car dealerships to the south are on sale with plans to be redeveloped as mixed-use buildings.